Can you unwittingly open yourself to an increase in unsolicited email simply by subscribing to free offers? Just on twelve months ago, I received emails from two separate Internet marketers promoting the benefits of email list swapping. I immediately unsubscribed from their lists as I disagree with that practice. Shortly afterwards, I got a couple of unsolicited emails into my “subscription in-box” which is rare … but they eventually stopped coming through. Over the past three months, I have been progressively unsubscribing from the majority of the newsletters / promotions I receive as I simply don’t have time to go through them all. The exercise has proven to be futile as I now get bombarded in my “subscriptions inbox” with unsolicited emails from all sorts of marketers. 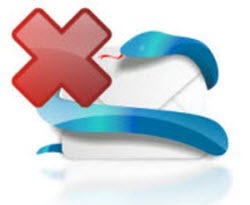 The universal law with lists is that you do not swap or rent email addresses WITHOUT PRIOR APPROVAL. A clause which is used extensively by every marketer when seeking subscribers states this quite clearly through words such as “your name is secure, we will not swap or give it to any 3rd party, etc”. Clearly, it would appear that many marketers seem to treat this statement with disdain. There are cowboys in every industry and the above may be the result of only a handful of people. I like many others now have to switch off that email address and change my subscription details for those lists I want to remain on – a task I should not have to do if people played the game the way it should be played. The losers are the people whose lists I unsubscribed from. I won’t be returning and I won’t ever endorse any of those people. The attraction to join the many lists I was on in the first place was a FREE Special Report. Most of the free stuff I got was just a regurgitation of materials that do the rounds all the time so I hadn’t really gained in any substantial way information wise. To “reward” me for unsubscribing, I am now on a number of lists which I have not asked to be on. What a terrible mindset to have as a marketer! The lesson out of all of this: Stick only to groups / promoters who can demonstrate best practice in everything they do! Online list subscription is not the only place which can cause you grief with unwanted / unsolicited email. I know one group who are harvesting email addresses from Social Networks, including the biggies. Even when I told them what they were doing was illegal, they didn’t care. I won’t be doing anything with this group. The key is to be aware and wherever possible, establish an email address which supports strong anti-spam and filtering capabilities. Gmail, Yahoo and MSN are particularly good for this for subscriptions and / or social network sign-up as these are the areas which are most vulnerable. If you are running a business, then you should use an email address related to your business (i.e. yourname@yourdomain.com) rather than one of the above free services purely for credibility reasons. However, avoid using that address when subscribing to free materials or on social networks for the reasons stated above. Alternatively, ask your webmaster to set up an alias email address on your domain, one you can quickly drop if you encounter the same problem I am experiencing. How are you going about addressing unsolicited email?